DECADE from Bath, England comprises of Alex Sears, Connor Fathers, Dan Clarke, Harry Norton & Joe Marrine. 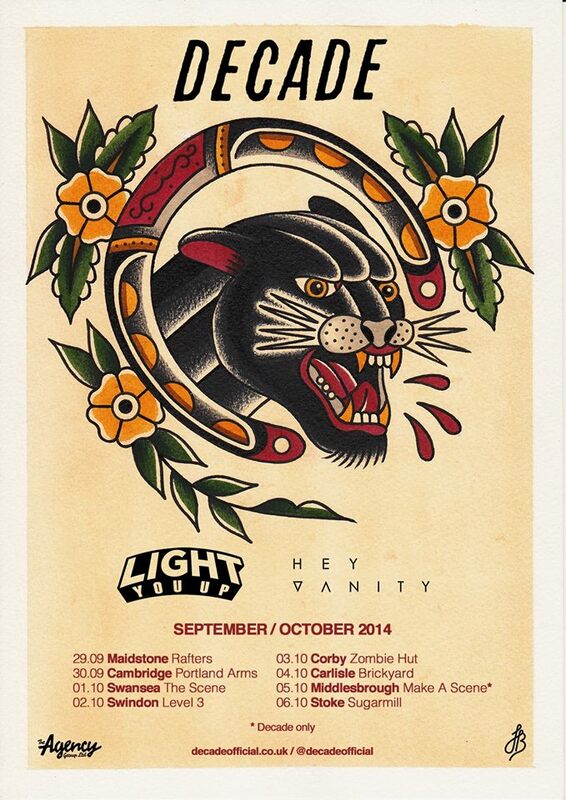 The guys have hit the road with Hey Vanity and Light You Up and have just released a video ‘Coffin’. Reminiscent of the early Foo Fighters – this has the same sort of melodic jangle and completeness of soul. It bounces, when necessary – with joy and uncontrolled lust – yet the song is full of insight and feeling. It is filled with introspection and sentiment. The creativity and musicianship is outstanding – and it’s all gone in a flash … much like life itself.